Ya'll want more cores? We got em. 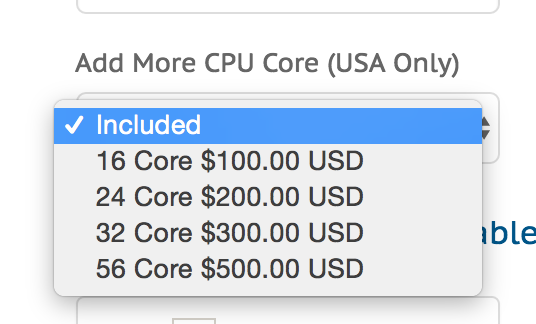 We are now offering more cores on plans Business or higher (8gb min.) You can add this at checkout and get up 56 CPU Cores! Copyright © 2019 Sneaker Server. All Rights Reserved.